Introducing the 2018 Volkswagen Atlas. The ultimate full-size SUV that combines style, safety and versatility like never before. 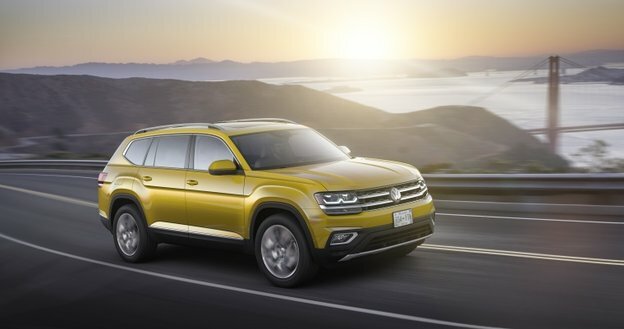 With seven seats, a choice of two engines and a suite of available technology from a reconfigurable display to an active lane departure warning system, the Atlas arrives as the boldest new Volkswagen SUV yet. Whether it's transporting the whole team to their next event or heading out on an urban adventure, the Atlas is the SUV dreams are made of. Contact the team at Lethbridge Volkswagen today to assure you're the first to experience the new 2018 Volkswagen Atlas. Enjoy enhanced performance with 4MOTION All-Wheel Drive and your choice of either a 2.0L 4-cylinder or a 3.6L V6 engine. With available Driving Mode Selection, you can now choose from 4 different driving modes including Eco, Normal, Sport or Custom. How you choose to navigate your journey is up to you. The Atlas features a retractable second row of seating that folds and slides forward for easy access to the SUV's third row, so fitting the whole team along with junior's car seat is easier than ever before. Fold down both rows of seats for a combined 96.8 cubic feet/2,741 liters of cargo space. The Atlas Touch Screen interface allows drivers to plot routes, listen to playlists, as well as access phone functions all without taking eyes off the road ahead. Begin your adventure with the press of a button, thanks to the Atlas' simple push-button start and enjoy crystal clear audio with the Atlas' onboard Fender Premium Audio. State of the art safety features such as blind spot detection, lane assist, adaptive cruise control, post-collision braking and a wide-lens rearview camera have all been implemented in the new Atlas making it the safest Volkswagen SUV to date. State of the art safety features such as blind spot detection, lane assist, adaptive cruise control, post-collision braking and a wide-lens rearview camera have all been implemented in the new Atlas making it the safest Volkswagen SUV to date. To truly experience the 2018 Volkswagen Atlas, we suggest getting behind the wheel of one for yourself. 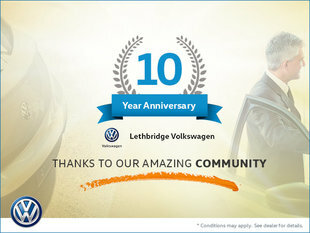 Contact the sales team at Lethbridge Volkswagen today. Once the Atlas has landed in Alberta, we can assist with a test drive so that you can experience it in all its glory!